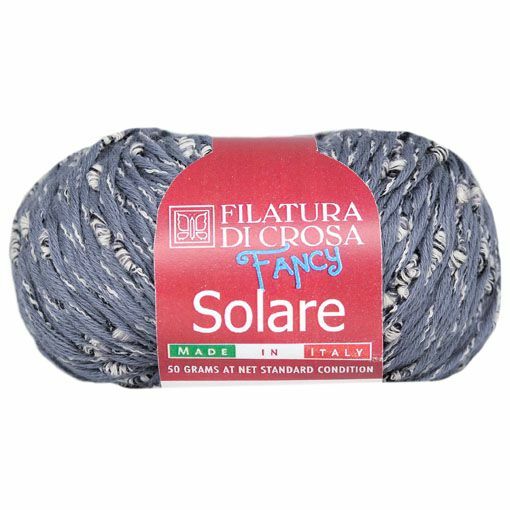 The slight slub that is spun throughout the Filatura di Crosa Solare yarn is perfect for adding texture to a knitted or crocheted piece. 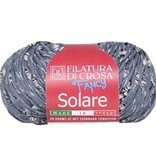 Solare is mainly cotton with the addition of viscose and nylon. It presents as a solid fabric if worked as a worsted weight yarn. Please hand wash your project to keep it looking its best.